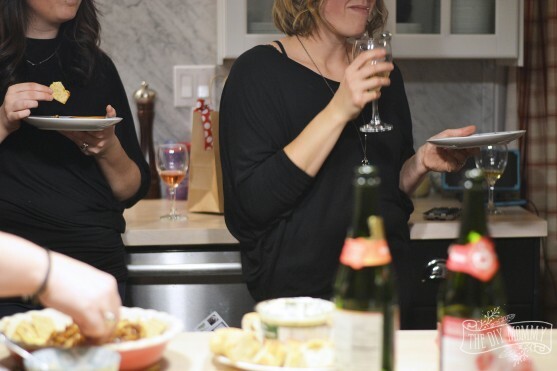 I had the pleasure of hosting my first Christmas party of the season over the weekend and it was SO much fun! 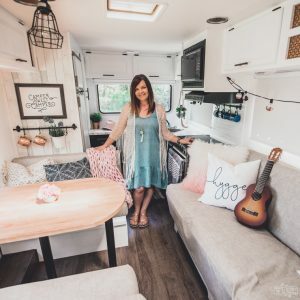 There’s something so wonderful about taking some time to hang out with friends and take a little break from our kidlets. 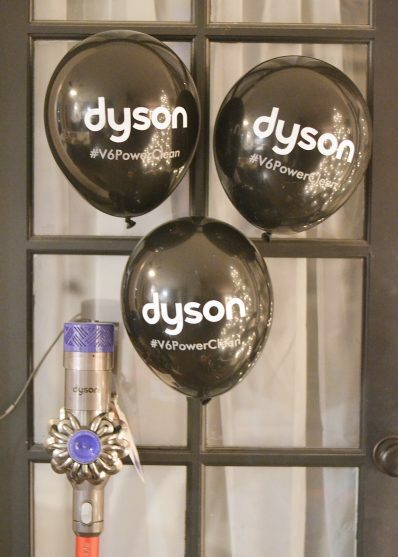 We had some food, had some great conversation, and got to try out the Dyson V6 Absolute vacuum! 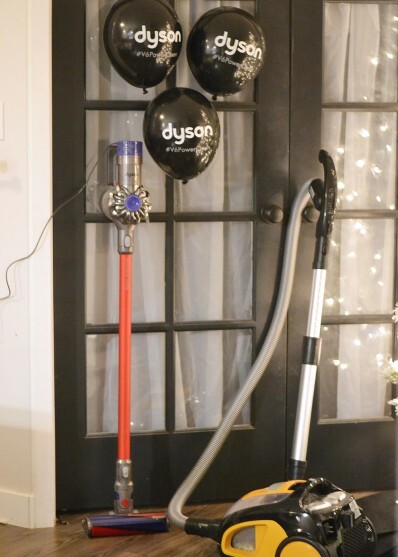 With the help of PTPA and Dyson, I set up a fun little vacuum competition for my friends and I so that we could test the Dyson V6 Absolute and see how it stacked up to my old vacuum. 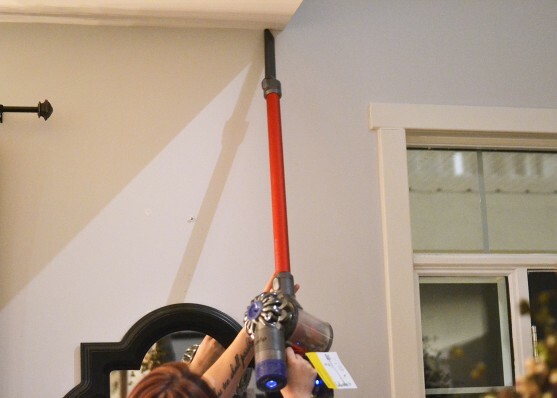 We all loved the Dyson! 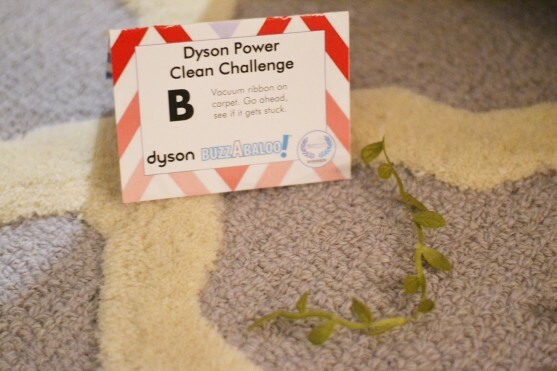 The Dyson V6 Absolute is a wonderful vacuum for those of us with pets, kids, hard floors and carpets. It’s so versatile! It vacuumed up ribbon on carpet with ease, sucked up all kinds of debris, and we were all impressed by how easy this thing is to maneuver. … to how much further it reached under my couch, the V6 Absolute rocked! We had a bit of difficulty vacuuming up some cereal with the Dyson, but that’s when I realized it was a kind of cereal that was much too large for any vacuum to clean up! When I later tested the challenge again with a different cereal, the Dyson V6 Absolute sucked it up with no problems. It also cleaned up Perler beads (those things are HARD to clean up!) with little effort. 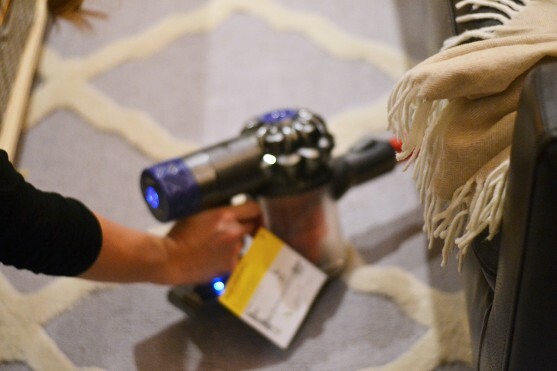 I love the cleaner head that comes with this vacuum for hard floors – it works well for both large debris and fine dust on my laminate. 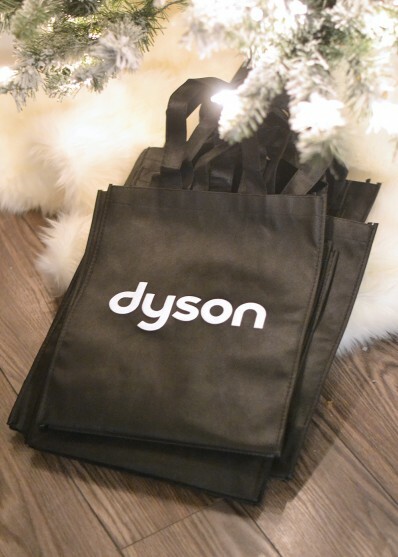 I was able to hand out some treat bags filled with goodies from Dyson and me! 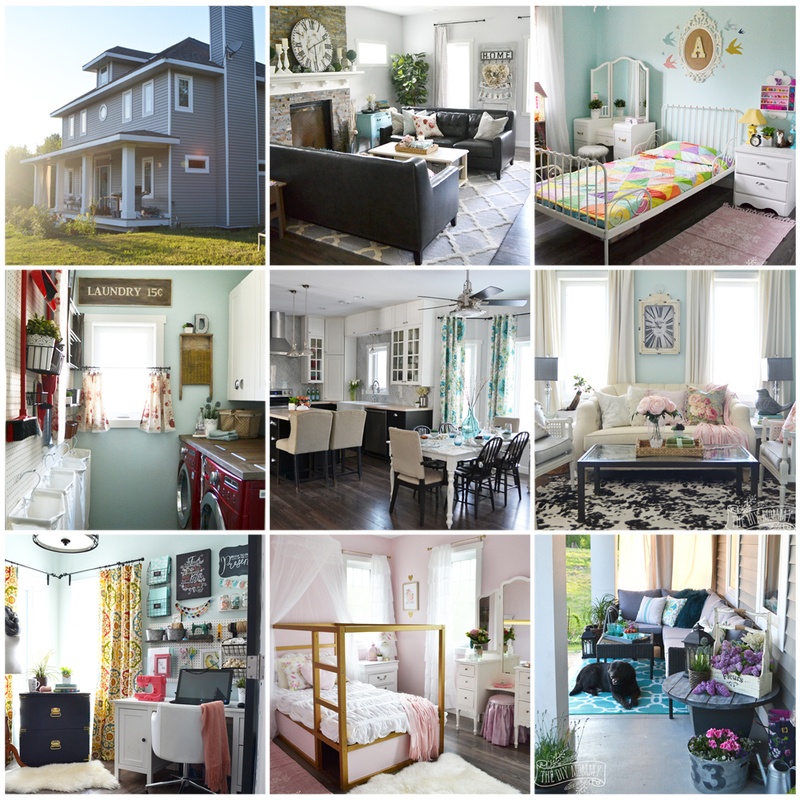 A yummy smelling home will provide a lovely atmosphere for your guests. 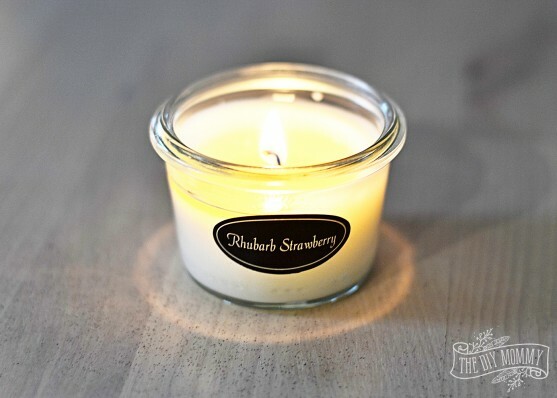 I light a scented candle an hour or two before my guests arrive and keep it lit throughout the party. 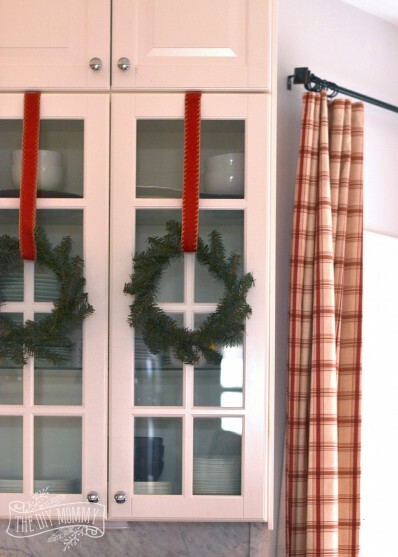 A few Christmas-y or wintery decorations will help make your space feel party ready and inviting! Here’s a teeny preview of our Christmas decor this year; I can’t wait to share the rest with you soon! Some soft Christmas music will add to the party mood. Prep a playlist on your device before the party starts, and set it on repeat. 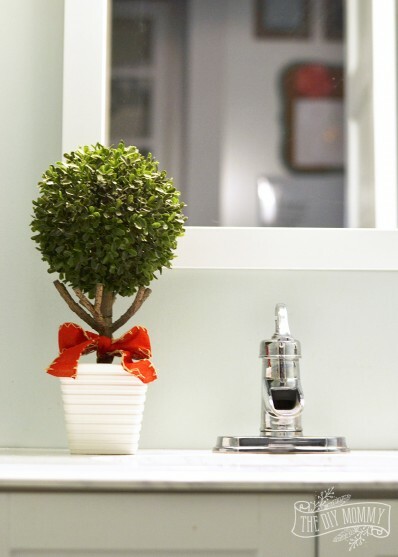 Don’t forget fresh towels and a little bit of seasonal decor in your main washroom. Some pretty soap won’t hurt either! A tasty appetizer that is unique and easy to make is always a good idea to have in your arsenal for parties. Mine is this yummy apricot walnut baked brie. It’s so easy to make, but it has a distinct and decadent tasting flavour. 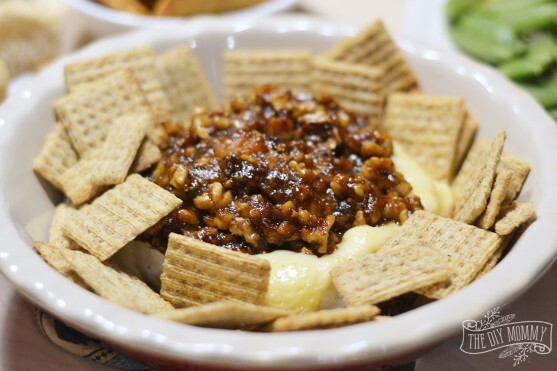 All you need to do to make this dish is mix 1 cup chopped walnuts with 1/2 cup apricot jam and 2 Tbsp balsamic vinegar. Cut the rind off the top of a large wheel of baked brie, spread the walnut mixture overtop, and bake the whole thing for about 10 minutes in a 350 degree F oven. Voila! 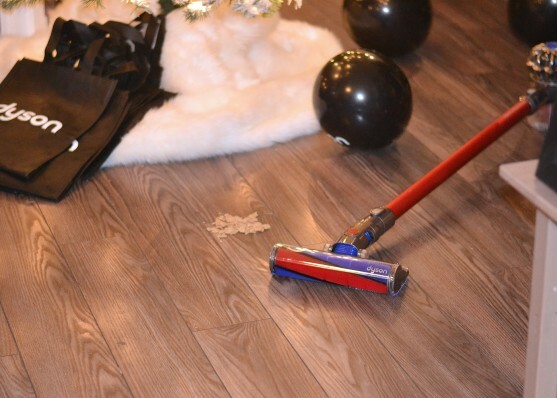 Thank you, Dyson, for helping us throw our first holiday party of the season and making it so fun! 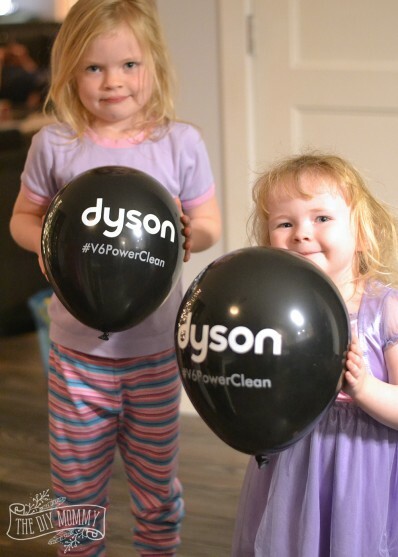 If you want to learn more about Dyson, please visit their Website, Facebook page, Twitter, Pinterest and YouTube. 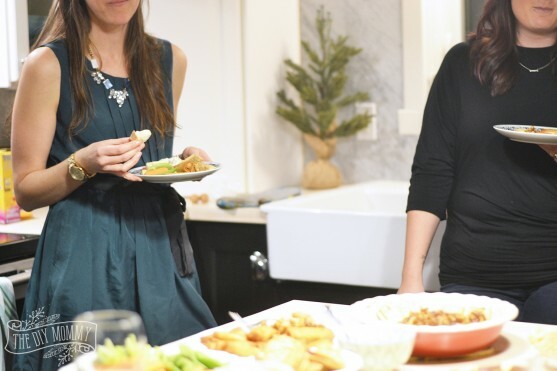 What are YOUR essential holiday party tips? Disclaimer: This post is sponsored by Dyson. As always, all of the opinions here are my own. I only recommend products that I use and love myself.